We Love Drinks embarks on a series where we look behind the bar, profiling the many people – from mixologists to bartenders, sommeliers to publicans – who make your drinks experience happen. “The coolest winter I ever spent was a San Francisco summer,” Josh Volz quips as he mixes up… a San Francisco Summer cocktail. A bartender who can quote Mark Twain is high in my books. He’s a man in total command of his sometimes chaotic bar, flooded by loyal regulars and dandies alike. Always in motion, befitting the vibrant and constantly shifting scene of Marvin, he’s rustling up a hand-crafted cocktail with no pretension and no intimidation. “What’s the one thing people would be surprised to learn about your job?” I ask. “That it’s easy,” he replies. This I find hard to believe, watching him juggle multiple drink orders from both the bar and the servers at one of the busiest spots in DC. Not to mention, this is a man who came to cocktails relatively late – his first taste of liquor wasn’t even until the age of twenty-five. But it’s a fitting job description for someone who strives to run an inviting, approachable bar. He’s got a wry sense of humor and a balanced, classic cocktail style. I genuinely enjoyed sitting at Marvin’s downstairs marble bar getting to know him and his regulars better. Isn’t that the best part about going to a bar anyway? Josh grew up in the kitchen and loves to cook. Raised Mormon, he had plenty of bad liquor experiences when he did begin to drink in his mid-twenties. Initially it was discovering how to pair wine with the food that he loved which became essential to him. Then he had his first “proper cocktail” – the Sidecar – inspiring him to learn the trade. So as a bystander, Josh learned how to make cocktails. 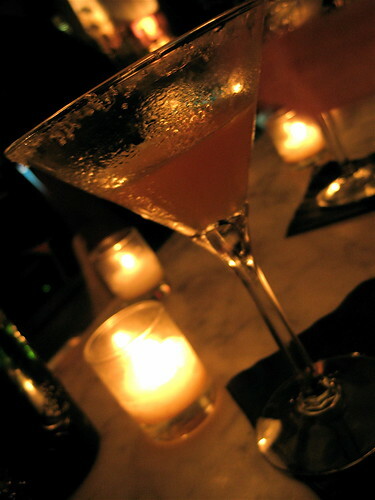 The Sidecar is still one of his favorites to make and his “litmus test” for a good bartender. His is one of the best I’ve had in DC. The Sazerac is another, and he doesn’t even particularly like drinking them! 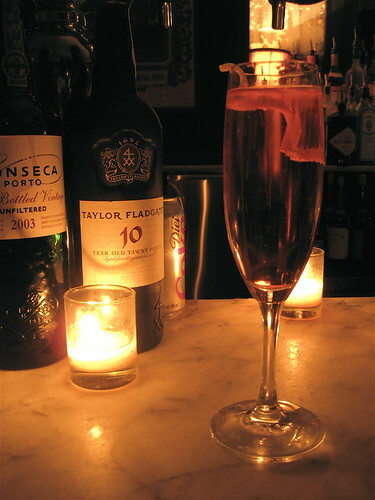 But folklore and mystery appeal to him, the fact that many cocktails have disputed recipes and origins – “guestimations” revolving around regional pride. It makes sense then that he has a strong admiration for one of the great contributors to cocktail lore – Earnest Hemingway. Most of all, he appreciates the similarity between crafting a good cocktail and cooking a good meal. All of this comes through clearly in his cocktails. Even when experimenting with interesting ingredients like yuzu fruit, the style is classic, balanced and elegant. Taking the time to talk to people and to draw them out is especially important to Josh. He sees the bartender’s job first and foremost is to provide a service and make people happy. “If you can expand their minds about cocktails as well, great,” he says, “but it can be intimidating. People don’t want to feel foolish, so they may not ask for something different.” That’s where the psychologist aspect of bartending kicks in – he’ll spend some time talking about what they like, and encourage them to try something new. So where does Josh like to go when he’s not at Marvin? Not too surprisingly, he ends up entertaining in his own kitchen a lot. Beyond that, he’s a fan of both the food and the bar at Palena, and thinks Rasika is well-executed. I thought perhaps working often at Marvin he wouldn’t be fond of eating there, but he spoke so highly of the daily specials – “go beyond the chicken and waffles” – that I had to try the delectable veal sweetbreads one night. In the end, Josh’s philosophy is simple: “Share the knowledge and the passion for making good cocktails.” Can’t argue with that. I’ll be back for more. Many thanks to Josh Volz for letting me shadow him for the first We Love Drinks profile feature and to Ben Eisendrath for making the introduction. 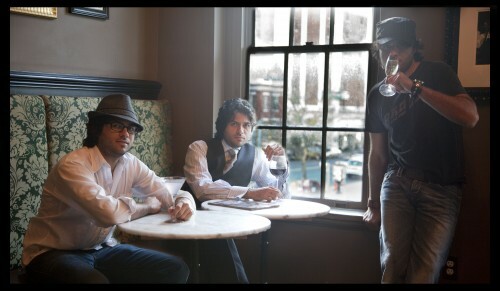 A special thanks to photographer Sam Vasfi. I love, Josh! He is easily one of the coolest people you’ll ever meet. i’ve known ‘this josh’ as a ‘good morman’ and as a ‘not-so-good mormon’, but always as a poet and bon vivant. it’s true, the cocktails at his house are just as good. ask him about guitars and amps, if you *really* wanna get him talking. This Josh character sounds like one crazy SOB! And I mean that in the most flattering way of course. Let me explain. For one to appreciate the art of tending a bar, they must also appreciate the finer things in life (watches, cars, sun-glasses, clothes). All of which I’m sure Josh is an expert in. It is for this reason alone, that I would be proud as a Jewish man to support this fine gentleman if he were to ever run for office (hopefully President). God Bless America! Josh Volz is far more than words can explain, although this attempt of outlining him was excellent. My suggestion is to meet him and get to know him. He has it all and embraces everything, especially his friendships. I want to have your baby, baby! Apparently the writer didn’t realize that she was dealing with a guy who’s better known has ‘HAMAS JOSH.’ Lamentably, that was no mention of it made in this otherwise entertaining piece. And what about his daytime stint at the State Department as an Iraq specialist? And apparently this idiot doesn’t use spell check. Gosh, Josh certainly inspires some strong emotions! I’m so glad everyone enjoyed the profile. I would’ve loved to have touched on his “other lives” but I’ll leave that honor to a future biographer. Unfortunately, I only had time for one of his many facets! Josh is one in a million and if he is your friend you are truly blessed. Cheers Josh and to the many nights out by the pool of the presidential palace singing and drinking. Jack the fireman from Baghdad?